This white iron away pencil works on dark to black fabrics. It is makes clear neat marks and won’t accidentally brush off but will be there on the fabric until you iron it away completely like magic, with no residue. AWESOME! it is 17cm long and never needs a sharpener, you just uncoil its paper body which is kinda fun to do. No tree was harmed in the making of this pencil but I am uncertain why it is called a Panda pencil! 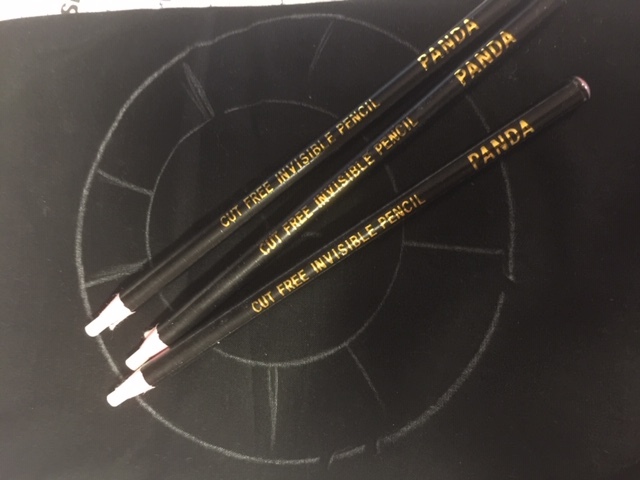 You will receive 2 x panda Pencils for $10.